We are thrilled to invite you to this event at 99 Hanover Street in the heart of the city! Join us for a night full of fun, laughter, and international spirit. A great time to meet new people, chat with old friends and enjoy the evening! Whether you’re looking for after work drinks, a cocktail with the girls, or a full-blown party weekend, 99 must be your first stop in town! Originally the branch of a banking institution, 99 Hanover Street is an eclectic mix of inviting armchairs, flickering candles, decadent lighting, stone walls, opulent drapes and dark wood. The atmosphere is warm, welcoming and always entertaining. 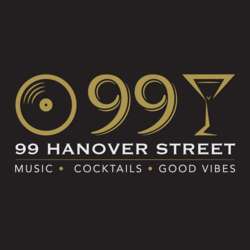 For great people, great tunes and great prices, 99 Hanover Street is the place! A great location to meet fellow expats and make some new global-minded friends. In order to keep improving the monthly events and provide you with an even better experience, InterNations introduces an admission fee in large, vibrant communities. As many of our regular members know, our community in Edinburgh has been growing very quickly over the past year. To facilitate the event organization and to provide you with a better networking and social experience, we are introducing “Paid Events” this month. Albatross Members pay a small fee online and therefore enjoy free entrance/a reduced admission fee to the monthly get-togethers. Well worth it if you join us regularly! Entry fee is payable at the door in cash. There you will receive a wristband and a token for your welcome drink (if you are one of the first 30 guests). This fee goes toward covering the costs of our InterNations Events. Please don’t forget to register for this event by clicking the *ACCEPT* button and feel free to spread the word among your friends, co-workers and other global minds, and invite them to sign up for InterNations, too! Guest list closes at 16:30 hrs. on the day of the event. If you are coming for the first time, by yourself, or simply looking to meet other global minds don't hesitate to approach our Ambassador’s team throughout the night! We are looking forward to introducing you to like-minded people! P.S. We would like to share a call for helpers! If you would like to be more involved in our InterNations community and assist us, we welcome you to reach out. We are especially looking for anyone who would be interested in volunteering welcoming and checking in members. IT'S A FANTASTIC WAY TO MEET NEW PEOPLE... Shifts are typically 1 hour and include complimentary entrance, welcome drink. and 1-month complimentary Albatross Membership. Also, looking for new Consuls, if you have a hobby or interest you’d like to share or you simply enjoy bringing people together, please get in touch with us.